Yes, it's certainly possible to allow your respondents to edit their submissions after they have submitted their information to you using your form. To do this first be sure to add an autoresponder since this is what would be sent as a reply to them. 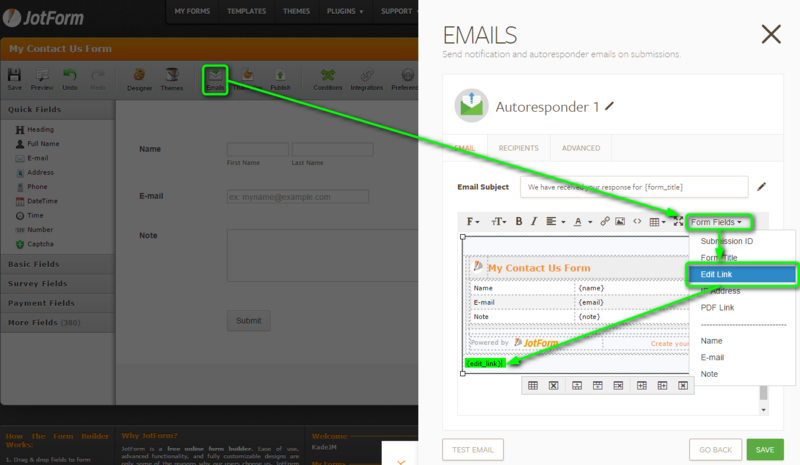 Inside the autoresponder you will then want to make sure you add an edit link to it since this is what would enable them to modify the submitted submission that was sent to you. Alternatively, you could add this to your thank you page if you didn't want to email it to them.